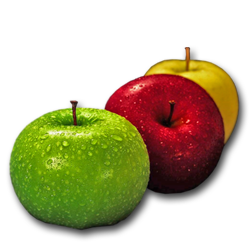 Sulce Fruits handles about 2,500 tons of apples per year with continuous upward trend. Main recipients of this quantity are: Egypt, Lebanon, Jordan, Iraq, Romania, Bulgaria, Russia. ● Ozan Gold ● Anna Gala ● Golden Smooth ● Golden Rangers ● Scarlet ● Red Chief ● Fuji Toshir ● Granny Smith. The harvest begins, mid August and is completed mid June.